Urbanization is one of the megatrends of our era. As more people choose to live and work in cities, there will be unrelenting pressure on metro systems to function safely and efficiently. The project had several goals in mind - to provide internet access for passengers via on-board and platform Wi-Fi access points and achieve high definition video both on trains and platforms. Keeping the trains running is, of course, essential and the network had to also carry maintenance data from trains to the control center. Voice over IP (VoIP) from train to ground and between trains was another ambition. 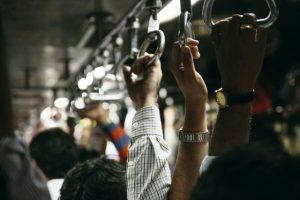 While looking for a partner to help it realize this vision, Madrid Metro turned to Nokia following its successful LTE trial for the Paris Metro. Working with several partners, Nokia managed the project, supplied the LTE technology, and was responsible for testing at its Transportation Solution Labs. For a deeper dive, read our whitepaper and watch our video. LTE underground: Stellar results in Paris metro Line 14 trial!